Most 19 year olds would spend a thousand dollars on a spring break weekend, or a put it toward buying a new car, but Michael Dell spent his $1,000 founding Dell . The founder and CEO of Dell expanded his company with the idea that ‘technology is about enabling human potential.’ In 1992, he became the youngest chief executive to earn a ranking on Fortune magazine’s ‘Fortune 500’ list. His staff also grew from a one-man operation to 100,000 employees in just eight years. Today, the company provides information-technology services for global corporations, governments, health care providers, small and medium businesses, education institutions, and home computing users. Dell is not the only company this CEO has had a hand in creating. 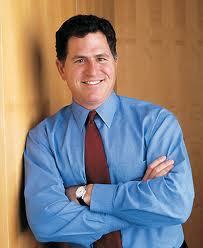 Dell founded MSD Capital in 1998 and a year later launched the Michael and Susan Dell Foundation, a philanthropic organization for global issues. Although Facebook isn’t publicly traded, we can’t leave this chief executive out of a successful college-dropout list-besides you are probably on his site everyday. Mark Zuckerberg, the founder and CEO of Facebook, showed an early interest in computers. As a child, he created early communication tools and games from his bedroom. In high school, he created an MP3 program and soon received offers from AOL and Microsoft , which he ignored. After being accepted at Harvard University, Zuckerberg built a program called Facemash, which showed pictures of students and allowed their peers to vote on who was more attractive. Eventually, word of Zuckerberg’s talent spread and fellow Harvard students Cameron and Tyler Winklevoss asked him to work on an idea for a social networking site called Harvard Connection. Zuckerberg decided to drop out of the project soon after and began work on a different social networking site, which he originally named TheFacebook.com. Zuckerberg dropped out of Harvard before graduating to put all of his focus on the social networking site, which could be worth as much as $100 billion if Zuckerberg ever takes the company public. Paul Allen, who co-founded Microsoft with Bill Gates, his childhood friend, is another chief executive who never got a college degree. According to Allen’s memoir, ‘Idea Man,’ Allen was inspired to write a coding language when he saw the Altair 8800 computer on the cover of a Popular Electronics magazine. Allen knew Gates and he both had the skills to code a programming language for the Altair and after convincing his friend to collaborate, the pair ushered in a new technological era. Today, Allen has a multibillion-dollar investment portfolio, which includes multiple technology and media companies, along with a major real estate redevelopment in Seattle. Allen also owns the Seattle Seahawks football team, the Portland Trail Blazers basketball team, and is part of the primary ownership group for the soccer team Seattle Sounders Football Club. Allen has given away more than $1 billion toward his philanthropic efforts and has said he plans to leave the majority of his estate to charities. College dropouts such as Mark Zuckerberg and Dustin Moskovitz are not the only successful business founders who attended, and then left, Harvard University. 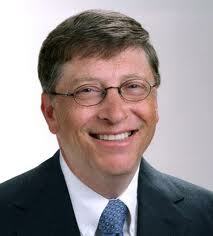 Bill Gates, the founder of Microsoft , enrolled at Harvard as a freshman in 1973. Gates, who lived down the hall from Microsoft’s current chief executive, Steve Ballmer, created BASIC, a programming language for the first microcomputer, during his first year of college. Gates dropped out of Harvard in his junior year to concentrate all his efforts on a company he called Micro-soft with his childhood friend Paul Allen. As if founding Microsoft wasn’t enough, Gates went on to found Corbis , one of the world largest resources of visual information. He also earned a seat on the board of directors for Berkshire Hathaway , an investment company engaged in diverse business activity. Hewlett gave Jobs the spare parts and hired him that summer to work on the assembly line at his company. 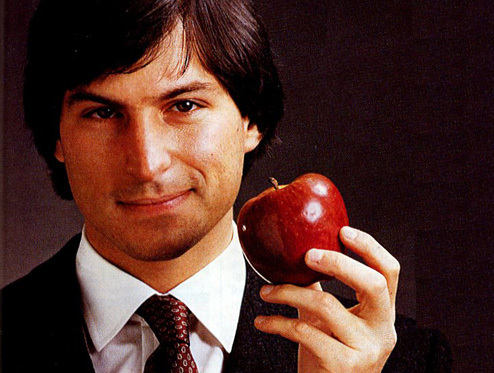 During this time, Jobs formed a friendship with Stephen Wozniak, a soon-to-be dropout from the University of California at Berkley. Jobs enrolled at Reed College after high school, but he later dropped out. He connected once again with Wozniak and the pair quit their jobs to start production on a computer in Jobs’ garage. In a biography, Jobs said he was worth more than $1 million when he was 23, $10 million when he was 24, and $100 million when he was 25. Apple went from a garage-based operation to a multi billion-dollar, worldwide corporation, and it all started with two college dropouts tinkering in a garage. Here are some key quotes from Steve Jobs, the legendary co-founder and former chief executive of Apple Inc, who died after a years-long battle with cancer. “There’s nothing that makes my day more than getting an e-mail from some random person in the universe who just bought an iPad over in the UK and tells me the story about how it’s the coolest product they’ve ever brought home in their lives. That’s what keeps me going. It’s what kept me five years ago, it’s what kept me going 10 years ago when the doors were almost closed. And it’s what will keep me going five years from now whatever happens. One company and one man had transcended all possible economic, geographic and demographic boundaries and become relevant to the entire world! The entire world, but almost! That’s huge, by any standards. 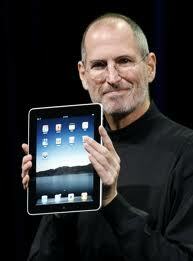 And what a journey it has been… Travelling this disruptive road, Steve has also taught us many valuable lessons . While I’m sure experts will have a long list of those, I personally find three learnings most relevant to all business leaders. The first of which being the courage to take the “leap” – Sometime back I read this interview of John Sculley, ex-CEO of Apple, who provided some great insights on Jobs. Steve, he says, did not believe in consumer research. The reason is simple; he was going to create a product so new and innovative that the consumers would have no reference to react in foresight. “How can I possibly ask somebody what a graphics-based computer ought to be when they have no idea what a graphic based computer is? No one has ever seen one before.” He once said. 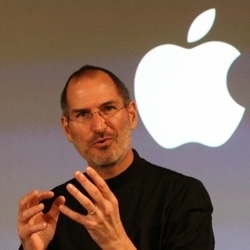 Jobs believed that showing someone a calculator, for example, would not give them any indication as to where the computer was going to go because it was just too big a leap. The rules of the game were made very simple with that one maverick thought, the winners of tomorrow would be the products who take us on a big leap, the one never seen, never heard before! I am also tempted to ponder here briefly on the biggest question that is on everyone’s lips today – would this obsession with breakthrough innovation continue to be Apple’s calling? I seriously hope so. After all, we need many more of the ‘never befores’. Coming back to the learnings, the second lesson has been the need to focus on powerful ideas. As he once famously said, “You have to be run by ideas, not hierarchy. The best idea must win, not the ‘best person’ with the most power or seniority”. No wonder Apple was able to churn out one powerful product after another. Structures aligned to collaboration, innovation and human intellect is also a concept very close to my heart and I’m sure somewhere Mr Jobs has been an indirect influence on this thought process. The third lesson, however is the one most people tend to miss. We must never forget that Jobs introduced us to the merit of ‘experience’. One almost forgets that Jobs built a phenomenally successful chain of retail stores, which became a benchmark for consumer experience. All of us who have bought Apple products will remember forever the experience of amazement we felt the first time we walked into an Apple store or simply the experience of the very user-friendly Apple devices. Vineet Nayar – The author is Vice chairman & CEO, HCL Technologies and wrote this piece for ET while on a flight from London to Munich). I was lucky âs I found what I loved to do early in life. Woz and I started Apple in my parents garage when I was 20. We worked hard, and in 10 years Apple had grown from just the two of us in a garage into a $2 billion company with over 4000 employees. We had just released our finest creation – the Macintosh – a year earlier, and I had just turned 30. And then I got fired. How can you get fired from a company you started? Well, as Apple grew we hired someone who I thought was very talented to run the company with me, and for the first year or so things went well. But then our visions of the future began to diverge and eventually we had a falling out. When we did, our Board of Directors sided with him. So at 30 I was out. And very publicly out. What had been the focus of my entire adult life was gone, and it was devastating. I really didn’t know what to do for a few months. I felt that I had let the previous generation of entrepreneurs down – that I had dropped the baton as it was being passed to me. I met with David Packard and Bob Noyce and tried to apologize for screwing up so badly. I was a very public failure, and I even thought about running away from the valley. But something slowly began to dawn on me â€“ I still loved what I did. The turn of events at Apple had not changed that one bit. I had been rejected, but I was still in love. And so I decided to start over. During the next five years, I started a company named NeXT, another company named Pixar, and fell in love with an amazing woman who would become my wife. Pixar went on to create the worlds first computer animated feature film, Toy Story, and is now the most successful animation studio in the world. In a remarkable turn of events, Apple bought NeXT, I retuned to Apple, and the technology we developed at NeXT is at the heart of Apple’s current renaissance. And Laurene and I have a wonderful family together. Remembering that I’ll be dead soon is the most important tool I’ve ever encountered to help me make the big choices in life. Because almost everything â€“ all external expectations, all pride, all fear of embarrassment or failure – these things just fall away in the face of death, leaving only what is truly important. Remembering that you are going to die is the best way I know to avoid the trap of thinking you have something to lose. You are already naked. There is no reason not to follow your heart.